Keeping in the spirit of our recent posts about Transformers: The Movie (1986) and G.I. 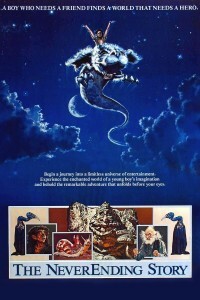 Joe: The Movie (1987) today we are listing five 1980s movies that forced an entire generation of unsuspecting kids to prematurely deal with the concept of death and emotionally scarred them for life. 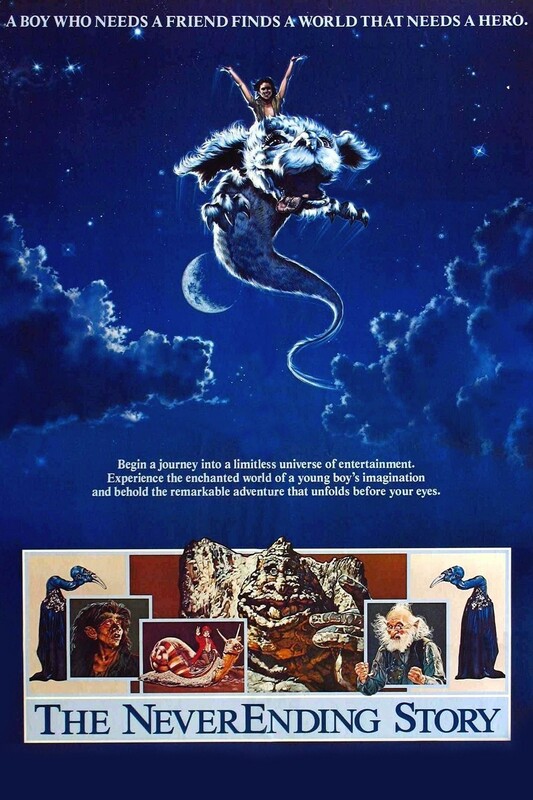 The NeverEnding Story (1984) – This crazy fantasy film by Wolfgang Petersen captured the imaginations of 80s kids and carried them off to a land of rock monsters, princesses and furry dragons…all while promoting the power of reading. Where this story takes a tragic turn, is when our hero Atreyu and his faithful horse Artax attempt to travel through the “swamp of sadness.” With an overwhelming display of emotion and swelling synth music, Atrax succumbs to the sadness of the swamp and sinks into the muck as a devastated Atreyu screams his name and begs him to fight for his life. It is a scene that is still heartbreaking when you watch it today. 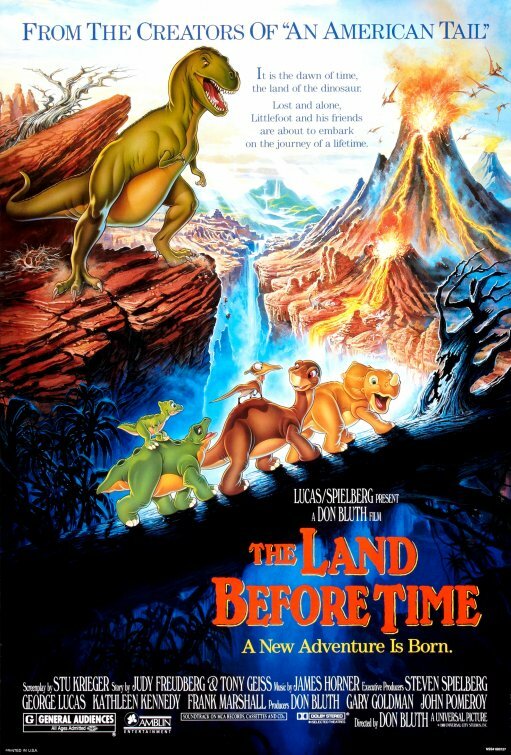 The Land Before Time (1988) – This late-80s Universal Pictures animated film by animation guru Don Bluth follows a young brontosaurus while he roams the land, in search of a dino-promise land called “The Great Valley.” Like in so many animated features, our juvenile protagonist (named Littlefoot) is orphaned in the first act (What the “F” is wrong with writers?) and in this particular case; his mother dies while trying to protect him and his friend (Cera) from a tyrannosaurus named Sharptooth. During the battle she is separated from her son and bitten and slashed before temporarily casting Sharptooth into “the big underground.” When Littlefoot finds her, she is dying. She makes one last attempt to stand up but can’t. She tells her son to find “The Great Valley” and that she will always be with him, even if he “can’t see” her. She then passes, leaving a confused little brontosaurus to fend for himself. Why do so many animated films have this plot point? 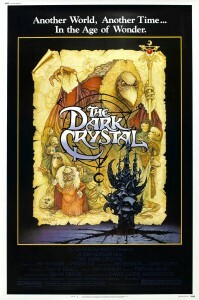 The Dark Crystal (1982) – Someone could probably write a book about how screwed up this Jim Henson “classic” is, but today we will focus on only two horrifyingly disturbing scenes. The first may not be a “death scene” in the traditional sense, but it might as well be. The scene I am referring to is when an unfortunate podling (the podlings are, essentially, a sentient race of gardeners who live primarily to sing, dance and tend to their plants) has his “life-essence” drained from his body byway of a light beam to his innocent little bulging eyes, causing him to age into a shriveled up “old man.” The second scene that we will discuss today is the death of the Skeksis emperor. An old Skeksis (a ruthless and visually frightening race of part bird, part reptile people) lies on his deathbed surrounded by a roomful of his minions, while he pointlessly attempts to his exert his power one last time by proclaiming that he is “still the emperor” before he dies. Though still not appropriate for children, this is not the screwed up thing about this scene. Where it gets particularly disturbing is after he dies, when his body decays and collapses in on its self, leaving essentially just a pile of dust. Now that is screwed up! 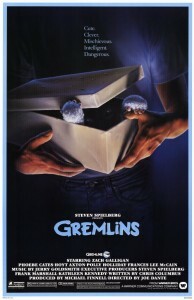 Gremlins (1984) – Why this frightening Joe Dante monster movie masterpiece was marketed so heavily toward children, I will never know. 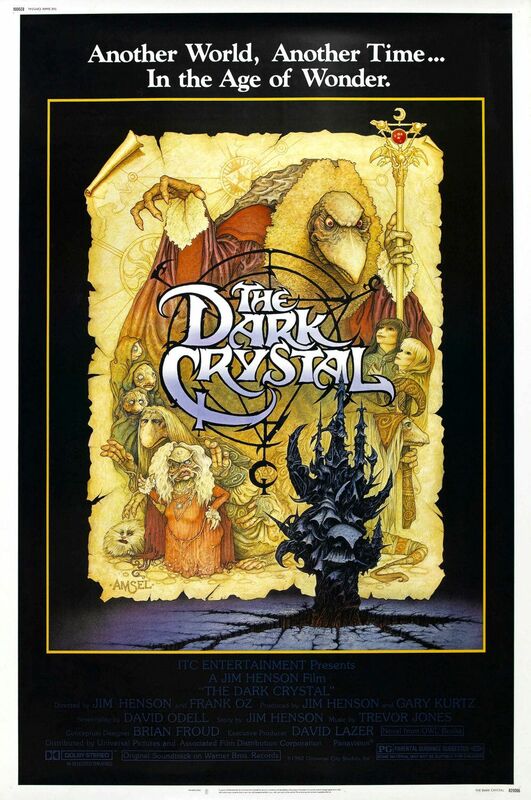 Like we did with The Dark Crystal we are going to discuss two particularly disturbing scenes that deal with the subject of death (though there are many to choose from). Again, the first scene is not really a “deaths scene,” but it has probably become one of the most famous scenes in the film, so much so that it was parodied in the 1990 sequel. If you haven’t guessed it yet, it is, of course, the scene where Kate (played by Phoebe Cates) explains how she found out there was no Santa Claus to Billy (played by Zack Galligan) and Gizmo. Long story short, when she was nine years old her Dad disappeared and when she tried to light a fire in the fireplace, due to the smell, she discovered that her father was dead in the chimney, dressed as Santa. He presumably was going to surprise her with presents. 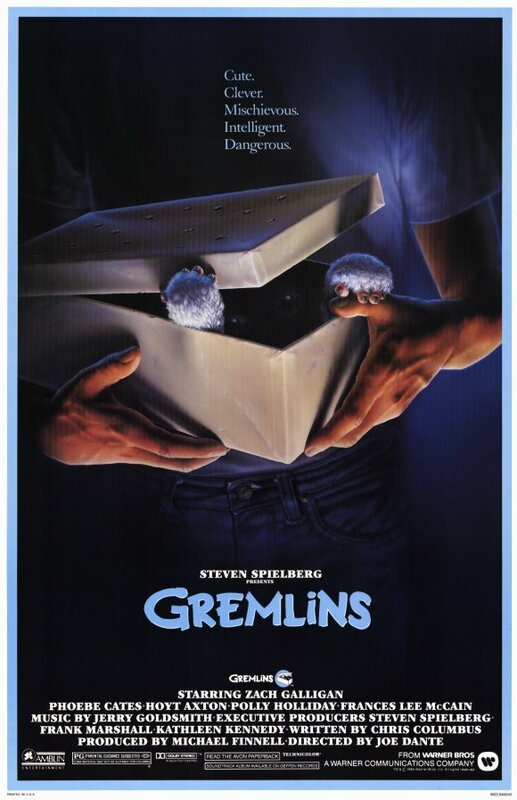 It is a moment in the film that, to this day, makes you ask “WTF?” The second scene we are going to discuss is the horrific death of the evil gremlin Stripe. At the end of a brutal climactic battle between Stripe and Billy & Gizmo, our heroes manage to defeat the nasty little green guy by shedding some light on the subject…sunlight that is. While standing atop a fountain, attempting to multiply in its water, Stripe is struck by a beam of sunlight and slowly and painfully melts into a puddle of bubbling green goop. It is a scene that is as disgusting, frightening and shocking today, as it was in 1984. E.T. 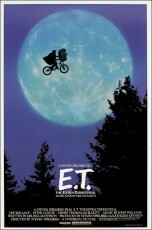 the Extra-Terrestrial (1982) – Considered by many to be one of Steven Spielberg’s greatest works, E.T. manages to be both beautiful and horrifying at the same time and oddly enough, where its horror comes from is its realism. Yes the love of a little boy, Elliot, manages to resurrect E.T. 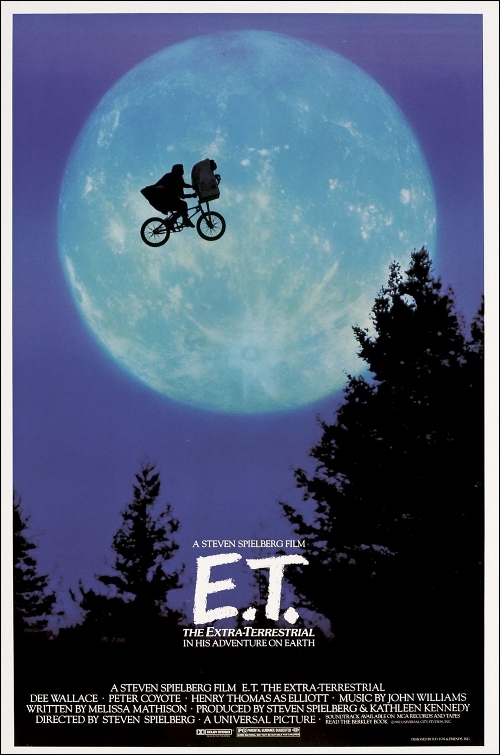 but there are a few minutes there where the audience, and a real-life 6(ish) year old Drew Barrymore (watch the behind-the-scenes footage of her crying her eyes out), truly believe that E.T. has bit the big one and unlike an animated film, it plays out in a heart-wrenching and disturbingly realistic way. Everything from E.T. being found face down in the river with his dried up chalky white flesh to his flat-lining on a medical gurney while attached to medical equipment is absolutely terrifying in the way that it parallels actual fatal illness and it is especially terrifying for a primarily young audience that has not yet been confronted with death in their real lives. For many of us, this is the first time we lost a loved one, but thanks to the magic of movies, E.T. was up and at ’em in no time…only to abandon us at the end of the movie.